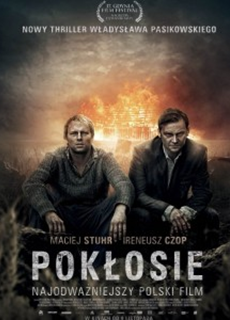 Aftermath (recommended): This Polish drama about two Christian brothers pushing too hard to unearth the Jewish roots of their town was extremely controversial in its home country, and it proves just as interesting in its U.S. theatrical release. A very compelling and thought-provoking subject matter takes shape in an involving drama and decent thriller. Now playing at Lincoln Plaza and Cinema Village. Read my review from yesterday. The Square (recommended): This Egyptian documentary, which director Jehane Noujaim had just finished when she brought it to the Sundance Film Festival back in January, is a terrific snapshot of the mood in Egypt and the spirit of revolution. As a chronicle of events, it’s not as complete, but it’s difficult not to get attached to the emotion involved. Now playing at Film Forum. Read my review from Sundance. 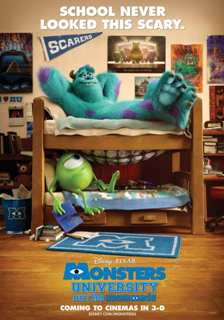 Monsters University (recommended): This Pixar product ranks in the better-than-expected category for sequels, an entirely enjoyable visit back to a world where monsters scaring children is a good thing. Though its premise isn’t as innovative as the original’s, it’s still a great time with plenty of laughs for all ages. This Is Not a Film (recommended): This Oscar-eligible documentary, released in theatres last February, is most interesting for the idea behind it: Iranian filmmaker Jafar Panahi has been banned from making films, so he presents this stream-of-consciousness construction on film instead. Occasionally riveting and more often less than rushed, this is worth a watch for those so inclined by the concept.